I didn’t know you, not in person. Not because of the makeup. But because of the goal. We fight this beast every day. When will it be through? I’m a cancer survivor, sure. Pretty lame if all your friends still die. We were meant to be striving. I know you won’t share any more words. That your family will never get their little girl. That you would have lived so big. And that you would have changed the world. And I know you still will. Because you had kid’s cancer. Because you walked it through. But I wish you were here. I wish your scans were clear. And I wish we could really meet. Your momma wishes you were near. 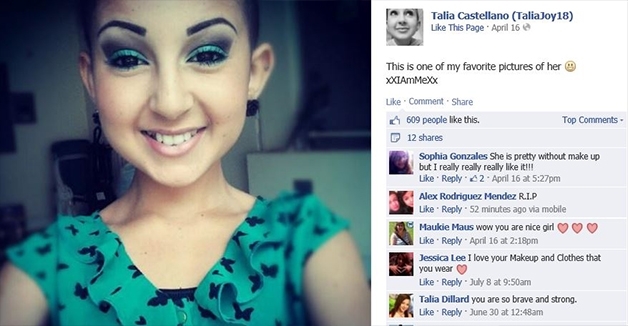 “Talia Castellano, a charismatic 13-year-old Florida girl with cancer who inspired people around the world with her online videos about makeup and who became an honorary face of CoverGirl cosmetics, has died. Talia, who had been fighting neuroblastoma, a type of childhood cancer, for six years, died Tuesday morning with her family by her side. Talia’s YouTube channel, filled with videos of tutorials about makeup, drew hundreds of thousands of subscribers. Talia didn’t like wigs to cover her bald head, but she loved wearing makeup. Talia had many TV appearances, including one on “The Ellen DeGeneres Show” in September. DeGeneres, a representative of CoverGirl, made Talia an honorary CoverGirl, complete with her own portrait. Talia was also given a check for $20,000 from the makeup brand and appeared in an ad in People magazine for CoverGirl. 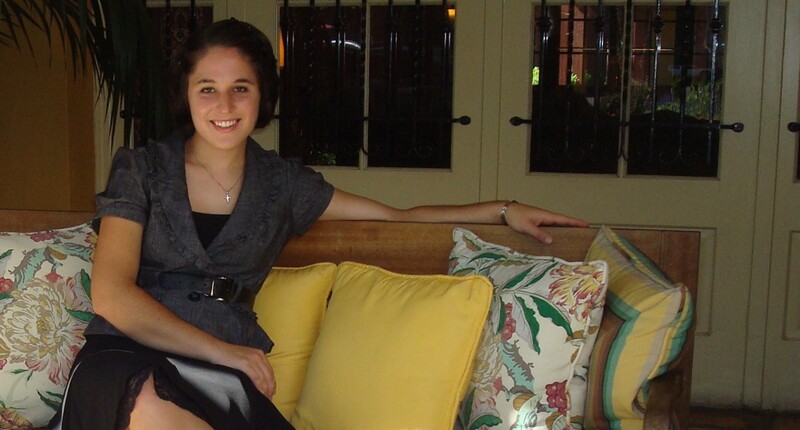 Talia was featured in the documentary movie “The Truth 365,” about kids fighting cancer. DeGeneres took to Twitter to express her condolences. And you can help us end childhood cancer. No one should be just a good story. We should be moms, dads, sisters, grandparents, softball players, professional make-up artists. We shouldn’t be dead. If you’d like to end childhood cancer with us, please watch this documentary, and “like” TheTruth365 on facebook. You’ll see my story featured there as well. To all those who help, thank you. …because love (has to) win.